Google’s making a significant push into the identity management world. This makes a lot of sense since every major technology company would like to own your identity. Companies like Google, Microsoft, and Amazon are included on the business side. On the consumer side, Facebook, Twitter, and Snapchat are aiming to lock you into their platforms. Why Does Google Care About Identities? Controlling your identity so that it is easier for you to consume their ancillary services really is what it’s all about. Tim Cook from Apple intimated that if you aren’t paying for the product, you are the product. That is certainly true for many of these organizations. With Google, their G Suite Directory is the key to their identity management aspirations. 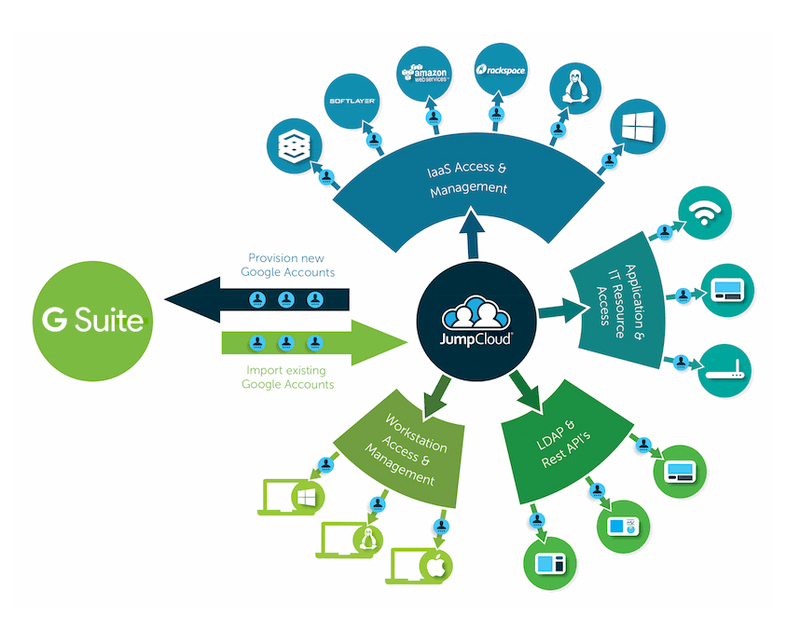 However, there is another cloud identity management solution tightly integrated with G Suite, Office 365, AWS, and many other cloud providers. It is called Directory-as-a-Service®, and it may suit your needs best. 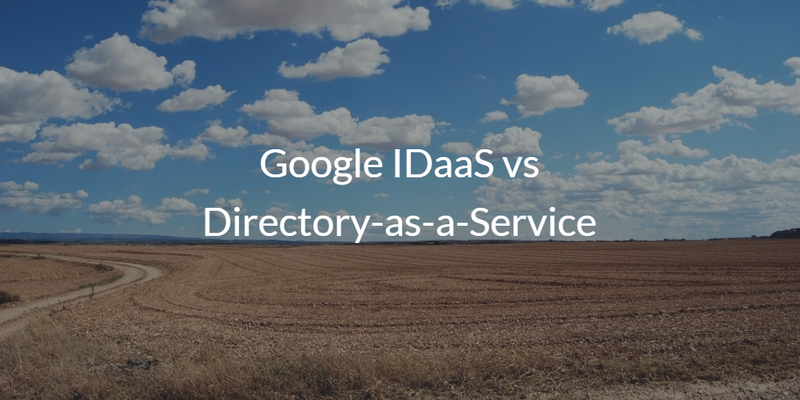 For IT admins, it’s a matter of Google IDaaS vs Directory-as-a-Service. 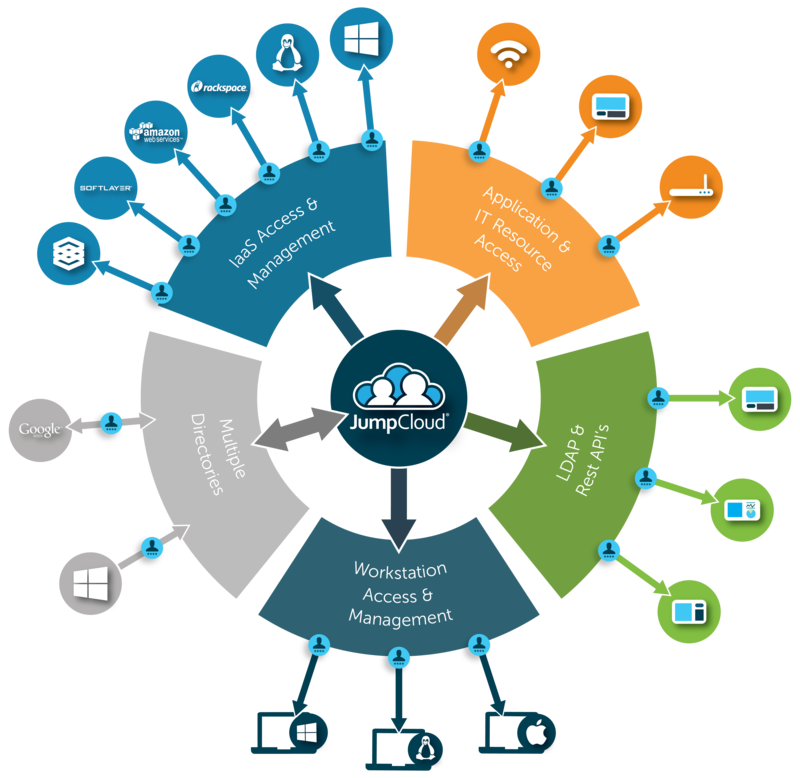 So, which cloud identity management solution is right for you? While either of these solutions could meet your needs, it greatly depends upon your requirements. The simplest way to break it down is to think about whether you need a G Suite user management system or a broader directory service. If you already have Microsoft Active Directory® on-prem and don’t have any plans to move your identity management structure to the cloud, then Google IDaaS may be a great fit for you. Paired with Active Directory, this covers a lot of bases – but for most organizations, it still doesn’t cover all of them. For instance, are you using AWS, Macs, or Linux devices? Would you like to manage WiFi access or servers? Even with AD, Google IDaaS doesn’t manage these resources. If this sounds like your needs, and you’re really set on using AD with Google IDaaS, then you will need some sort of solution to extend AD to your non-Microsoft IT resources. In this case, you can take a look at Directory-as-a-Service (DaaS) since it can function as an AD Bridge to non-Microsoft resources. More on DaaS below. On the other hand, if you are either looking for an Active Directory replacement or don’t have a directory service at all, the cloud identity provider Directory-as-a-Service makes a great fit as a standalone solution. It seamlessly integrates with G Suite and with Office 365. It handles authentication for Mac, Windows, and Linux devices whether on the cloud or on-prem. Web applications can be easily integrated into the single sign-on technology using SAML, and on-prem apps are authenticated via LDAP. Your WiFi network can also be tightly controlled via the on-board RADIUS in the cloud infrastructure. In short, Directory-as-a-Service is a complete cloud-hosted directory service that can replace Active Directory in your environment. 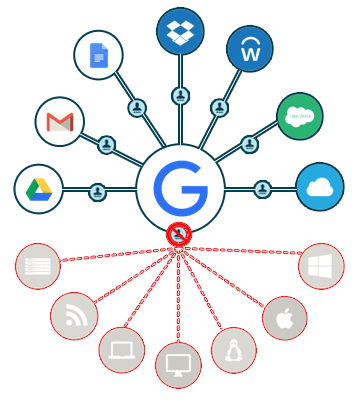 Google IDaaS is more focused on being the control point for Google Apps and also a web application single sign-on solution for a select few web apps. That’s a very different approach than trying to be a cloud directory service where authentications can occur from on-prem or cloud resources across a variety of different protocols and platforms. 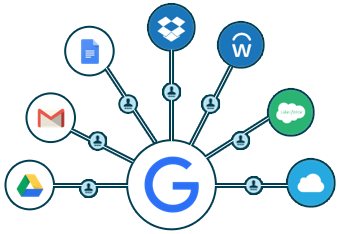 For some organizations, though, Google IDaaS is just what they need – a system to manage Google Apps. For other organizations, a broader cloud-hosted directory service is a better fit. If you would like to learn more about Google IDaaS vs Directory-as-a-Service and the chance to move your identity management infrastructure to the cloud, drop us a note. Alternatively, give our modern IDaaS platform a try yourself. You can sign up for a free account and your first 10 users are free forever.